“Star Wars Galaxy of Adventures” will be a new series of animated shorts that retell classic moments from the saga, which include the original dialogue, music, and sound effects from the films, mixed in with some really cool animation to recreate iconic scenes we already know and love in brand new ways. 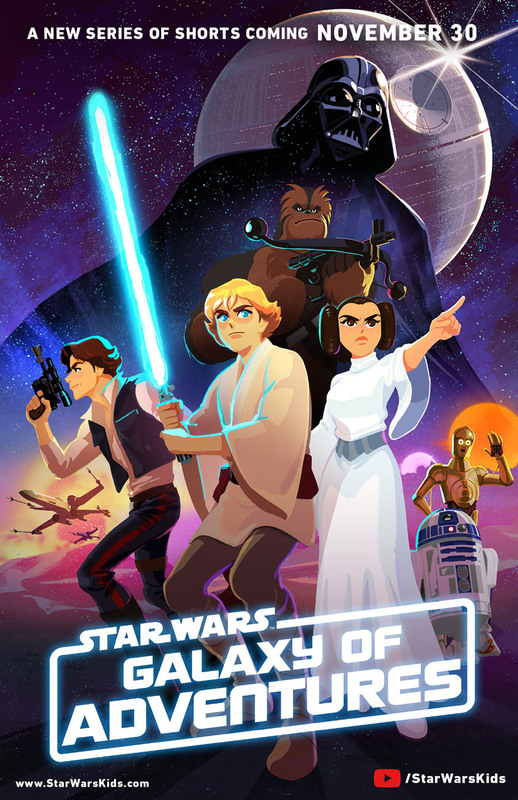 Lucasfilm will also be launching a new site and YouTube channel for “Star Wars Galaxy of Adventures” at StarWarsKids.com and Star Wars Kids YouTube Channel on November 30th, with new shorts coming in December. You can check out the cool trailer for “Star Wars Galaxy of Adventures” above, and be sure to head on over to StarWars.com for a full interview with Lucasfilm’s vice president for franchise content and strategy James Waugh about the series and their plans for it throughout 2019.